We have released the latest update to Newcastle University ePortfolio containing some fantastic new features. The development team at LTMS have worked tirelessly to produce a set of updates that will make ePortfolio an even more powerful tool. If you would like to see a demonstration of the ePortfolio, and the new updates, please contact Graeme Boxwell at graeme.boxwell@newcastle.ac.uk, or 0191 208 3903. Below is a summary of these features. The last update to ePortfolio introduced meeting slots. These are the online equivalent of the sheet of paper on the tutor’s door where students sign up to a meeting. The online meeting slots allow a tutor to book out a time period and send an email link to some or all of the tutees. The tutee would follow the link and select a meeting. This would automatically create a meeting record in ePortfolio with the tutor and tutee as the only attendees, and the only people who can see this confidential record. Notes can then be added before and after the meeting. With this latest update of ePortfolio, you can now set meeting slots across a number of days. 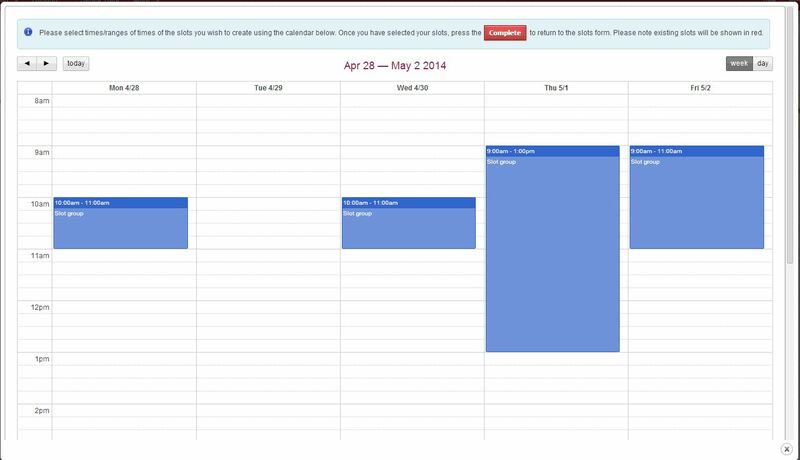 These are drawn onto a calendar view as seen in the screenshot below. The slots function also provides a useful overview of the meetings before the final confirmation sends the email out to the tutees. We have changed the way the information about the meetings is displayed in the table when you select’My Meetings’. We have added the attendees to the meetings in this summary table. Meeting notes will now be locked 24 hours after the creation, meaning that no edits can be made to a meeting note after this time period. Additional meeting notes can be added to the meeting record. This will help to ensure the integrity of the meeting record. Meeting notes will be transferred to a notification email. This will help summarise all the meeting notes for tutors who are supporting many tutees. For example, a tutor meets with 40 tutees in a week. The tutees are asked to write up each meeting record in ePortfolio. For the tutor to check the accuracy of the meeting notes, they only have to check a weekly email that will summarise all the notes that have been added. Meetings created in ePortfolio can by synched with your Outlook calendar using an iCal feed. This is a one-way push of information into an outlook calendar. Once the feed is set up, a new shared calendar will appear named portfolio.ncl.ac.uk. This will show any meetings created in ePortfolio, but you will not be able to add or amend any meetings in Outlook. If you do, these amendments will be overwritten on the next synch. For more information on how to set up iCal integration, please click here. The terminology and layout of ePortfolio has been reviewed and changes have been made to make the use of ePortfolio a more intuitive and consistent experience. Some of the icons on the front page have been moved into the main set of icons. The section titled, “Further Information” has been removed. You will no longer see any reference to outcome set. These have all been changed to skill sets. CV has changed to CV builder. This is not a CV, but a tool that will help you to collate all the information to help build your CV. The Action Plan has been changed to a to-do list. 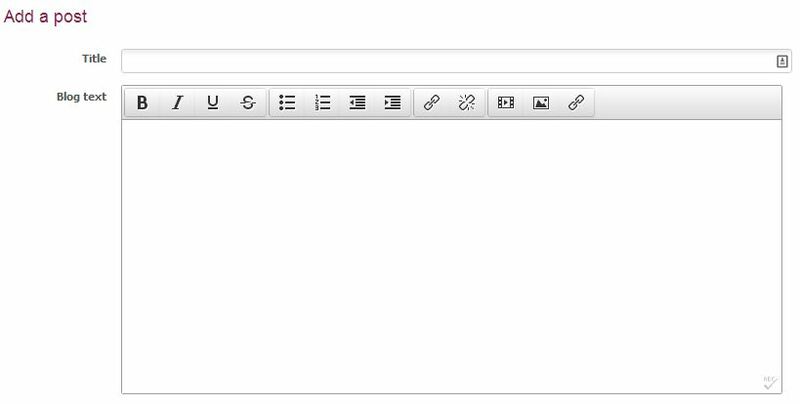 The text editor used throughout the ePortfolio has been updated. This will enable you to embed video or audio files from external sources such as soundcloud or youtube. You will also be able to embed video from the University streaming service NU Vision. As an operational necessity due to the growing demands on ePortfolio, we have to put a maximum file upload and overall quota in place. These have been set at an individual upload maximum of 15MB, and an overall file quota of 150MB. When you are using 90% of your quota you will receive a warning to advise you of this. Go to the file store to remove items from your ePortfolio.